im on the most recent and latest release of TurboHUD and im having massive issues with the minimap overlay. its bugging out and going all over the place and its almost like it doesnt update where the map is so its overlaying over the exsiting map and i cant see where to go. is anyone else having this problem? hi, I think that I have the same problem. I closed and opened the hud many times, but problem was not solved. Last edited by Stormreaver; 01-24-2019 at 02:06 AM. I don't use any special theme but I have the same problem. I have to exit and reload THUD every two or three GR games due to map reveal problem. 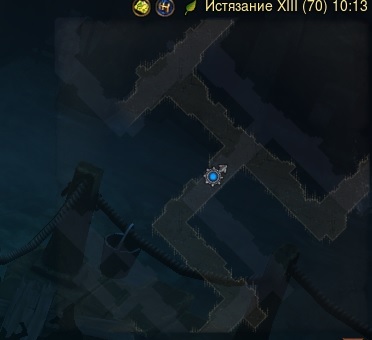 Bug confirmed here too, sometimes it's a map from a different area that is displayed. Just had map reveal not work in a bounty, Act 2, Shrouded moors, the cursed lake. As I got near the edge it showed the reveal of a different map. Switching to a different zone map reveal was normal for it. In the latest release the map is updated faster but not perfect enough (far). I started d3 on intel 7400 + gtx 1050 and the problem was almost not observed! Unfortunately I can not speak english and use the google translator. If anybody can translate that better please me. I've set a chop at "Maximum Fordergrund-FPS"
and this limited to 60 fps. I did it, but it didn't help me unfortunately. Besides, I have disabled all plugins except the map because I do not need them. There is my .cs file. Take a look somebody. Maybe I made a mistake, and turned off something important? Update TurboHUD, there have been multiple releases since this thread started. I no longer have the issue as of the release prior to current (nor on current). I've seen this plenty of times with most recent version as well. I just press F3 or F4 to hide then show Hud and it's back to normal. See RARES on mini-map before they spawn!